Let me be upfront--I know some of those who put together this production and I even contributed to their kickstarter. Now, I've seen lots and lots of productions of this specific play, especially in the last two years. Indeed, my choices for best, second-best and third-best productions all opened within that period. This one did not topple any of those three. It did end up as quite a roller coaster ride in several ways--including quality. 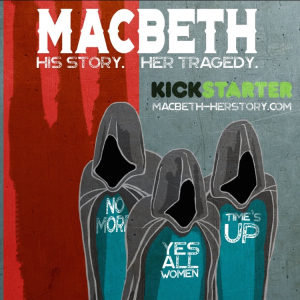 Macbeth: His Story, Her Tragedy veers from really excellent to the merely mediocre. Honestly, this last is mostly aspects of the design--not really bad but below average. I prefer to focus on the positive, which consist (mostly) of a fistful of performances which reached out and grabbed me by the heart. Top of the list is Cyanne McClairian as Lady Macbeth, who in this version retains almost as much focus as possible. Her 'take' on the role seems very much in a classical vein, that of the bitter ambitious woman who doesn't realize the moral import of what she's doing. What the staging makes clear, however, is an achingly topical and personal reason for her actions. Portrayed in dance, we come to understand her Lady Macbeth had been raped by King Duncan--the very monarch she later helps murder. This act, rather than any choice by the title character, becomes the act which sets off an avalanche of slaughter and civil war. Here is the stuff from which to create a vivid, personal production. In her performance, it becomes vividly alive. Elsewhere, the idea loses focus -- although a fistful of really good performances help buoy the show overall. Brendan Cadigan Weinhold as the title character shines in the way this role has been re-imagined, as pretty much an almost childish pawn. 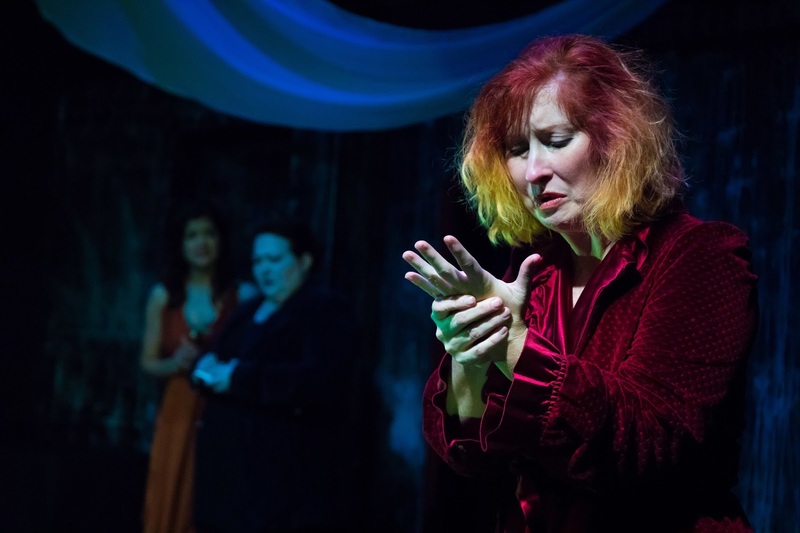 Witches Kathy Deitch, Josie Adams McCoy and Corinna McCoy make for an eerie trio, although this last also get the juicy role of Porter (honestly why most folks don't play this role as genuinely drunk rather than play-acting drunk puzzles me). A lot of dance becomes part of the play, which works pretty well but doesn't feel integrated--mostly (I suspect) because most of the performers aren't really dancers (with Esther Mira as an exception, having several small roles in which she shines). I frankly think this marks the biggest symptom of what doesn't work in the play--the director who insisted on such dance without using dancers, shows a certain inexperience or failure to take things into account. That, and the theme of sexual exploitation of women never truly emerged save in the story of the lead (where it worked very well, very movingly). So--a mixed bag. What is good about the production tends to end up very good indeed and worth the price of admission. Lots of promise here, and I've high hopes for further productions by Fearless Imp Entertainment. 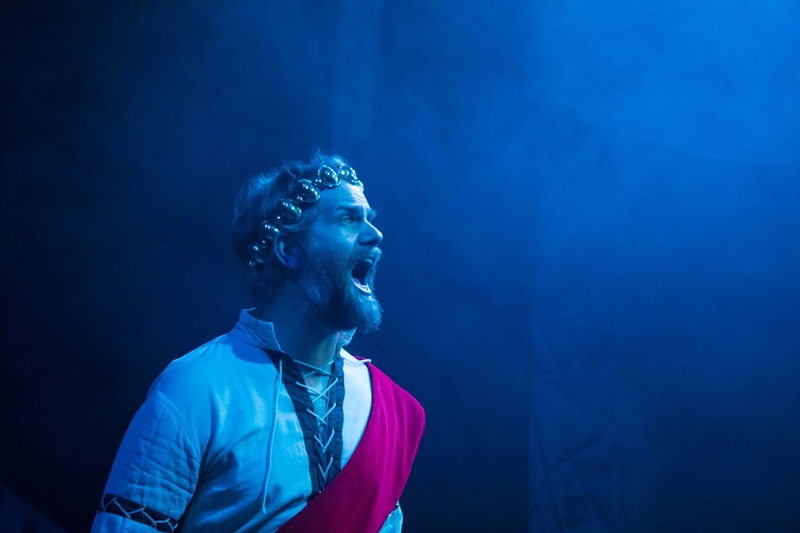 Macbeth: His Story, Her Tragedy plays Fridays and Saturdays at 8pm, until April 29, 2018, with Sunday performances April 22 and 29 at 4pm, at the McCadden Theatre, 1147 North McCadden Place, Hollywood CA 90038.